WomenSing’s annual fundraiser is fast approaching on Sunday, October 16. Our theme this year is Where in the World is WomenSing? The event features both live and silent auctions as well as entertainment and, of course, delicious food and drink. This year WomenSing is very excited to present SoVoSó, a highly visual and imaginative a cappella vocal band that sings a compelling mix of rhythm and blues, world-jazz, pop, gospel, and improvisational music. Culturally diverse, each member of the quintet is a skilled soloist and composer in his or her own right, trained in widely varying musical genres that equally enrich and strengthen the group as a whole. Originally assembled in 1986 by renowned vocalist Bobby McFerrin, members of SoVoSó performed with McFerrin in his a cappella group Voicestra until 1993. Two members of SoVoSó sang on the 1997 McFerrin release “Circlesongs” and continue to tour with Mcferrrin as part of this ensemble. 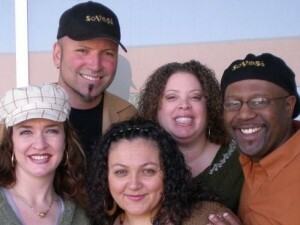 The group has evolved and shaped its own musical style since then, renaming themselves SoVoSó (from the “Soul to the Voice to the Song”) in 1994. The ensemble’s foundation is rooted in the art of circle singing, in which ensemble support for improvised solos is created through inter-locking patterns that are spontaneously composed. 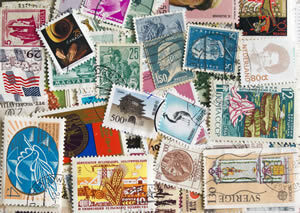 In addition to its own style of free-form, collective improvisation. In concert, SoVoSó captivates audiences with their natural playfulness, humor, and unpredictability. Join us for a unique musical evening and help WomenSing raise funds for the 2011-20112 season of Songlines and Youth Inspiring Youth. Get tickets and details now!